… directly on the waterfall. May – September: 09:30 a.m. – 6:00 p.m.
October – April: 10:00 a.m. – 5:30 p.m. Even on Sundays and Holidays! 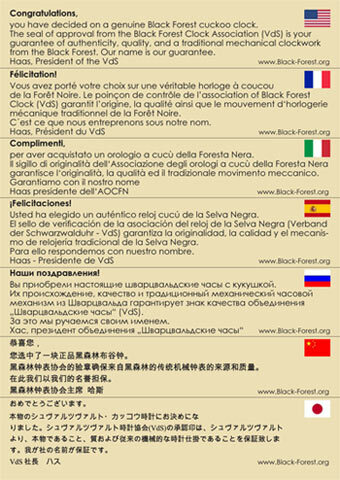 Daily open from 10:00 a.m. to 5:30 p.m. This store can be visited outside the normal hours after arrangement per telephone. In the heart of Triberg, directly below the entrance to Triberg’s Waterfalls, you will find our clock store with the animated Bear Family mounted on the storefront, as well as the largest selection of Black Forest cuckoo clocks in the area. In our huge, 2-story salesroom there is always something new and unusual to discover and enjoy. This is not just a store – it is a shopping experience! 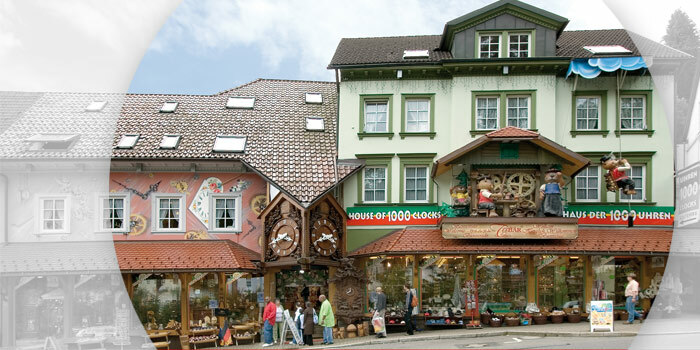 Right in the middle of the town of Triberg, right down from the world-famous Triberg Waterfalls, you will find our clock store with the animated bear family on the storefront, and perhaps the greatest selection of Black Forest Cuckoo Clocks in the whole area. 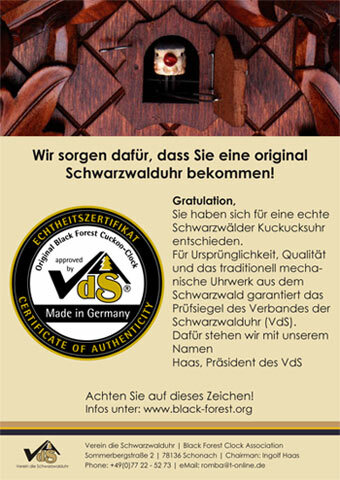 There are many unusual things to discover in our huge, two-story salesroom. Your visit will become a shopping experience that you will never forget! We have a selection for the large variety of tourists that come to Triberg, and we are sure that all who visit us will find just the right souvenir to take home from their trip to Germany, the Black Forest and Triberg! In our store you will find beautiful Christmas gifts and decorations the whole year round. Our quaint Christmasland on the second floor of our shop is always packed with colorful nutcrackers, wooden Christmas pyramids, lovingly-crafted Christmas tree decorations, cute smokers, and much more!